Dolce & Gabbana knit sneakers. Stretch strap with logo knit wraps heel counter. Dolce & Gabbana classic sneakers in napa leather. Grip strap upper with logo detail. Logo print at backstay and sole. Dolce & Gabbana classic sneakers in napa leather. Grip strap upper with logo detail. Logo print at backstay and sole. Leather lining. Made in Italy. Dolce & Gabbana two-tone leather sneaker. Flat heel with platform. Round toe. Logo-embossed double grip straps. Contrast heel counter with logo. Tonal and contrast stitching. Padded footbed. Rubber outsole. Made in Italy. 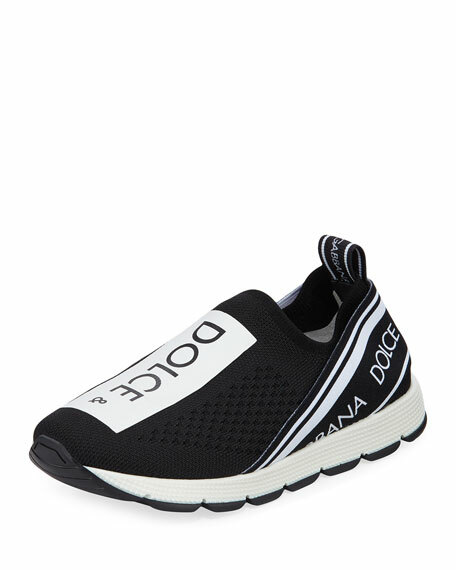 Dolce & Gabbana "Maglina" knit sneakers. Stretch strap with logo print wraps heel counter. Round toe; laceless vamp. Slip-on style. 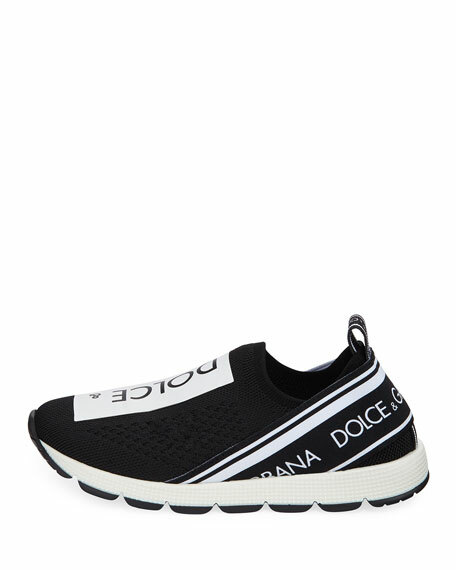 Dolce & Gabbana "Maglina" knit sneakers. Stretch strap with logo print wraps heel counter. Round toe; laceless vamp. Slip-on style. Contrast logo detail at vamp. Logo pull-tab at backstay. Rubber outsole. Polyester. Made in Italy. 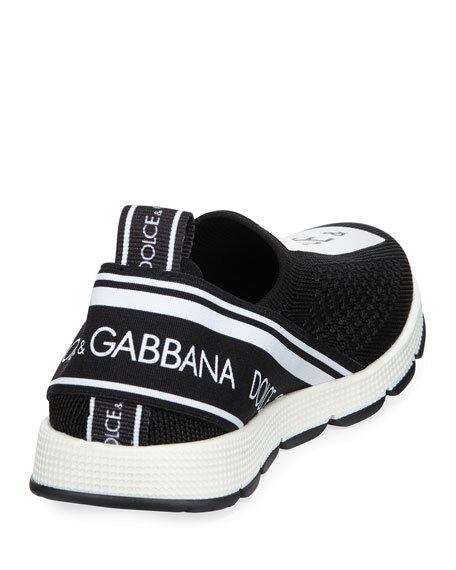 Dolce & Gabbana sneaker in two-tone calf leather. Flat heel with platform. Logo detail at side. Round toe. Lace-up vamp. 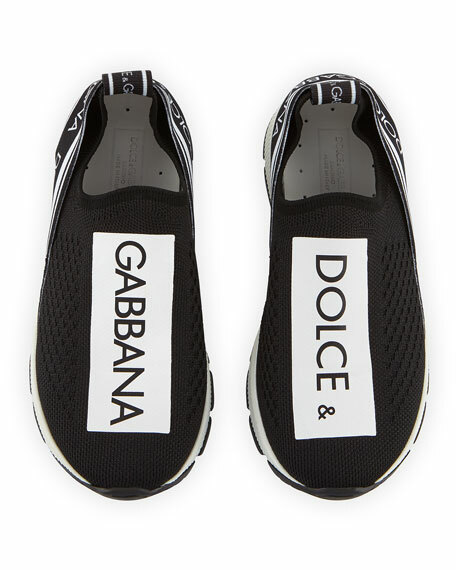 Dolce & Gabbana sneaker in two-tone calf leather. Flat heel with platform. Logo detail at side. Round toe. Lace-up vamp. Rubber outsole. Made in Italy.